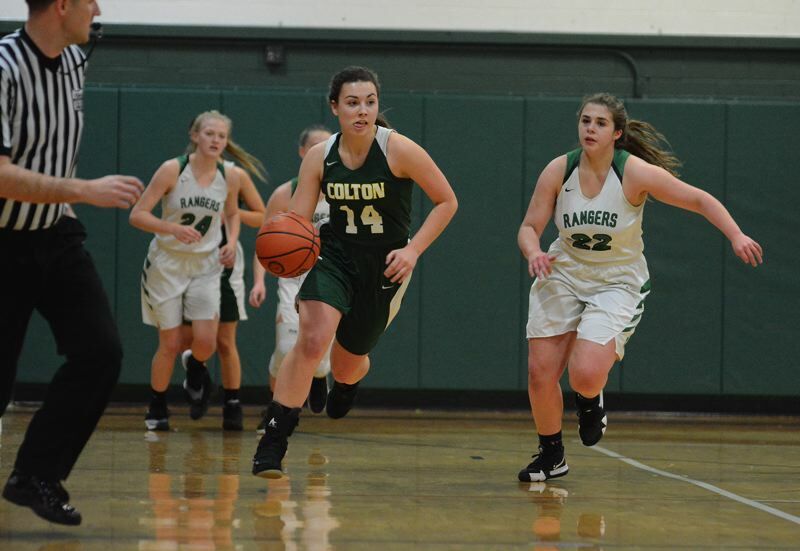 The Colton girls basketball team turned back an Estacada threat late in the third quarter to score a 50-30 win Monday over the Rangers. The 2A Vikings savored the win over a neighboring community with a school more than double it's size. "Every school is different, but being so close, the entire community came out to watch tonight," Burge said. 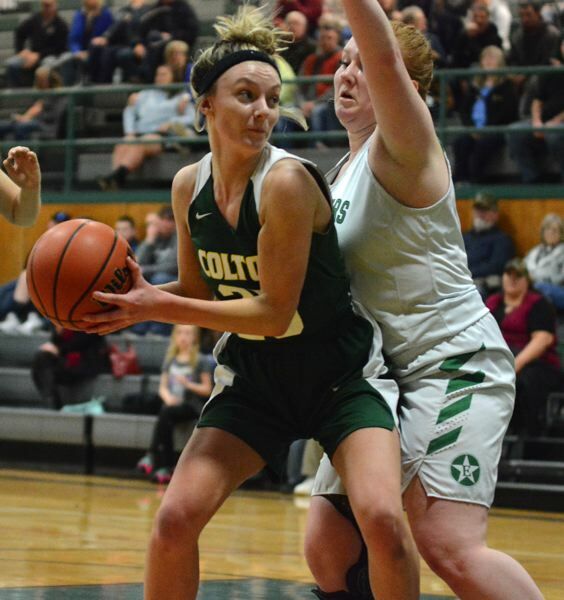 Colton found itself in front 17-7 early after Burge tipped an Estacada pass to the corner, and Maddie Travis scooped up the loose ball and passed it ahead to Madi Olsen, who went alone to the hoop for two points. Olsen would add a pair of 3-pointers in the second half to help the Vikings grow their lead. "I was feeling pretty confident, and the more we push each other, the better we are going to get," Olsen said. Colton (50) – Becca Burge 20, Olsen 16, Travis 4, Baker 4, Haines 4, Spitzer 2, Gates, Poet, Beguelin, Shapr, Weinberger. Estacada (30) – Izzy Hagel 10, Jennings 6, Canifax 6, Porter 2, Crombie 2, Burnett 2, Liber 2, Mireles, Gipple, Youngberg. This story is slated for our Jan. 23, print edition.